Looking for a new broker? Get a £2,000 Switcher Bonus from ADSS. It's available to all professional clients. Here's how you can sign up. * While a greater amount of leverage will be available to professional clients, it is important to note the risks associated with this. 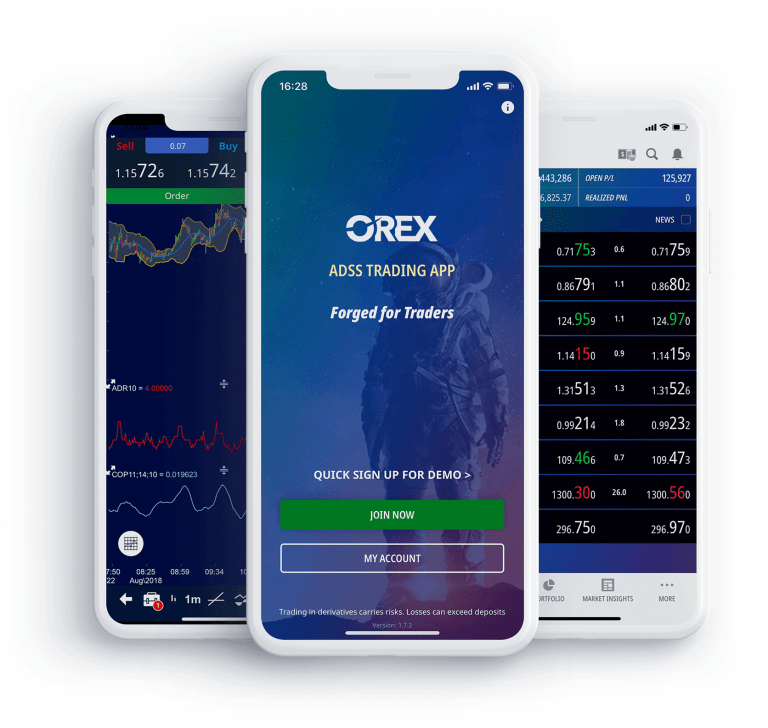 We recommend you always keep your OREX account well-funded. OREX provides an institutional standard of technology. Clients can take advantage of competitive spreads and high-speed execution (trades are filled in less than 200 milliseconds). Live news, charting with customisable indicators, a real-time spread monitor, economic and earnings calendars, market commentary videos, and a detailed CFD instrument contract specification tab. Execute a trade in just three swipes on your phone. Monitor the performance of your trades individually or aggregated at account level – you can adapt your risk appetite on the go by adding limit and stop orders. Leverage as high as 500:1 is available, along with one-to-one relationship management for experienced and professional clients, plus 24/5 support from our customer service desk.